A weight loss transformation photo can only say so much about a person's past, their struggles, their victories, and the day-to-day steps they took to make a lasting change. 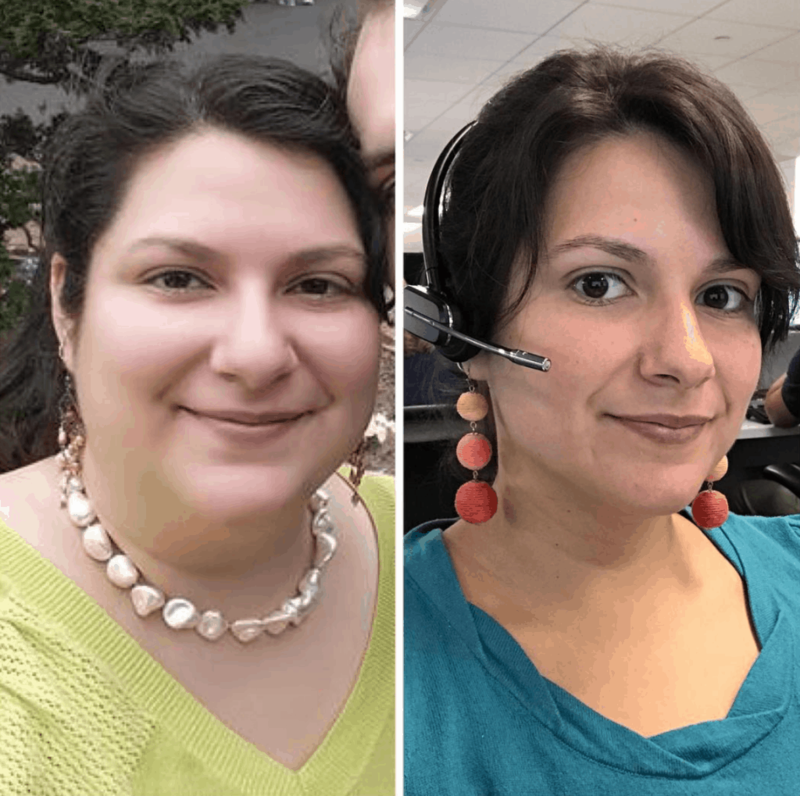 Neither of us have had to lose a substantial amount of weight, so we need to learn from real people who have incredible weight loss transformation stories. We can all relate in one way or another. Over the last few months, we have interviewed five people who have used the keto diet to each lose over 100 pounds. They shared with us the different kinds of life changing habits they developed along their keto journeys - the habits that kept the weight off. How do they deal with cravings? What was the hardest part? When did they decide to make a change? What do they eat every day? Listen to the interviews over at the Keto For Normies Podcast or stay and read them here! 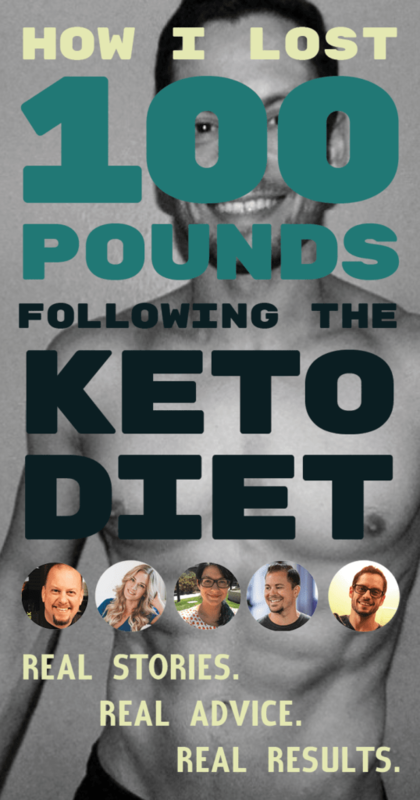 Get ready for five incredible keto weight loss transformation stories and a ton of low-carb advice from Steve Pekar, Chela LeBlanc, Adam Shaeuble, Suzanne Ryan, and Corey Goodwin. Prepare to be inspired. For 19 years, Steve Pekar tried various diets yet continued to gain weight until he reached 370 pounds. Steve lost 115 pounds last year following a keto diet and now has more than 20 thousand followers on Instagram. 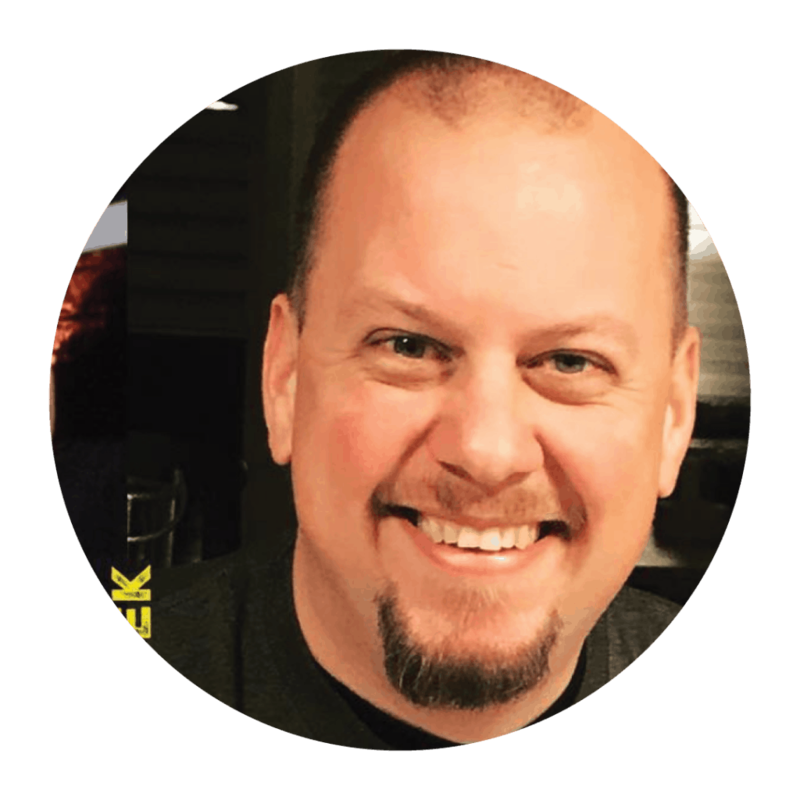 Listen to Steve's story on our podcast, where he talks about how the keto lifestlyle changed his life. Chela has lost over 100 pounds in the last year and a half using a low-carb diet and undergoing weight loss surgery. She no longer views dieting as a punishment and has cured her diabetes. 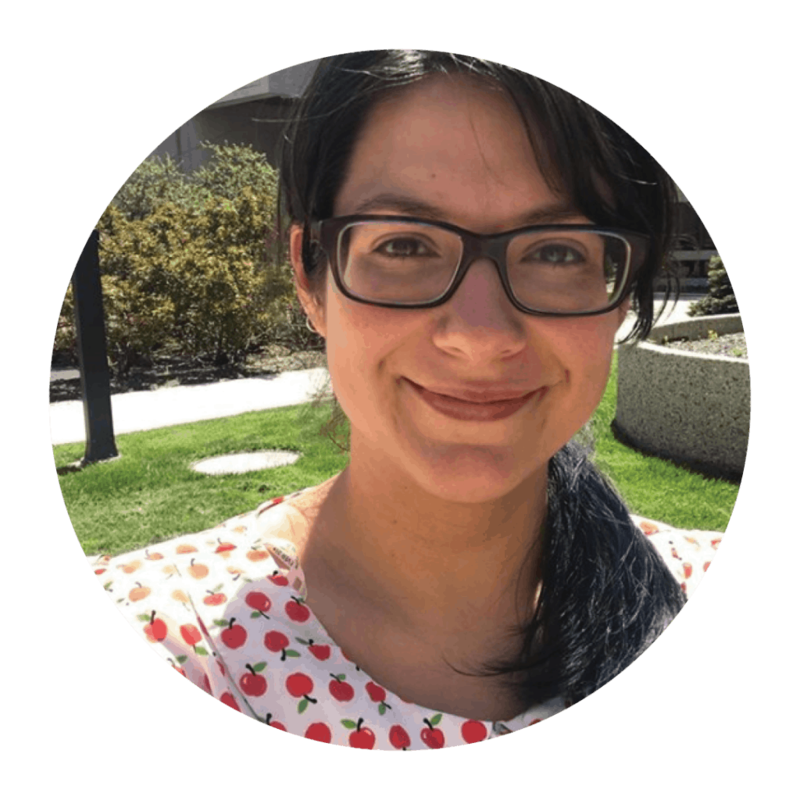 Living with her husband who still loves milkshakes, soda, and mac and cheese is no excuse for Chela to quit this new lifestyle. She's not looking back. Listen to her story and find her weight loss transformation on Instagram. 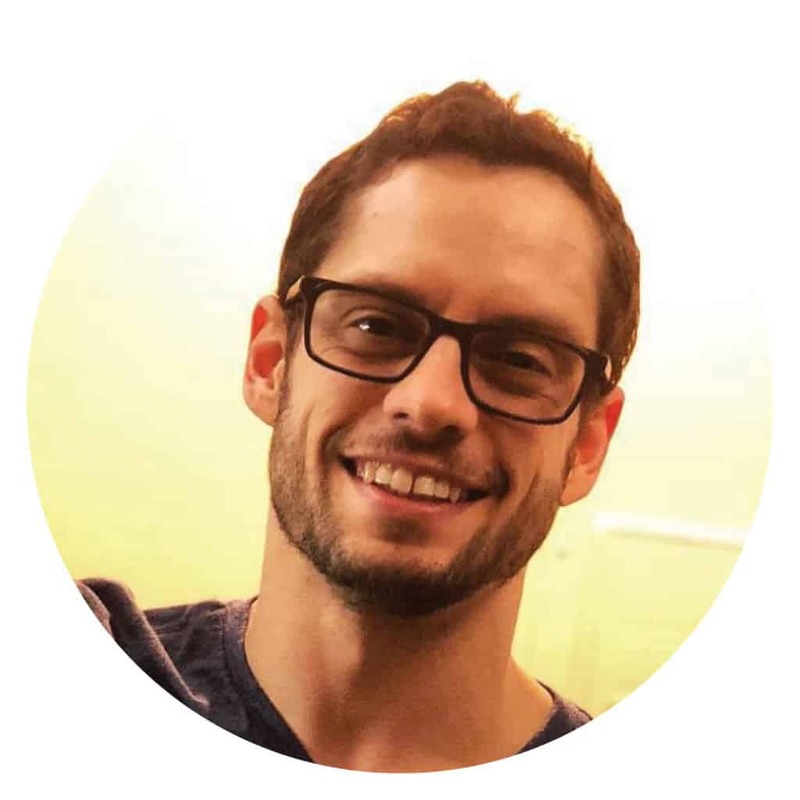 Adam developed a food addiction in high school and used eating as a way to deal with stress. He reached 327 pounds when he decided to make a change. He has since lost more than 100 pounds and is following a ketogenic diet. 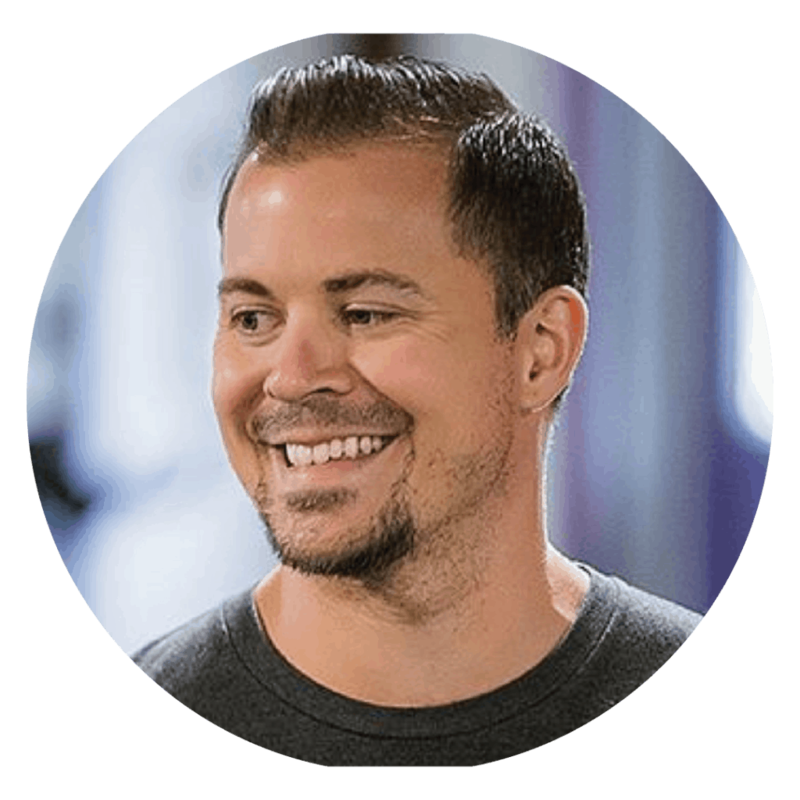 He created the Million Pound Mission, which is the top ranked fitness podcast and coaching program that aims to inspire one million pounds of weight loss. He also drinks a lot of olive oil. Listen to weight loss transformation story. Suzanne had a food addiction, was hungry all the time, and couldn't stick to a diet. At her highest weight of 300 pounds, she started a YouTube channel and blog to keep herself accountable and has since lost over 100 pounds following a keto diet. 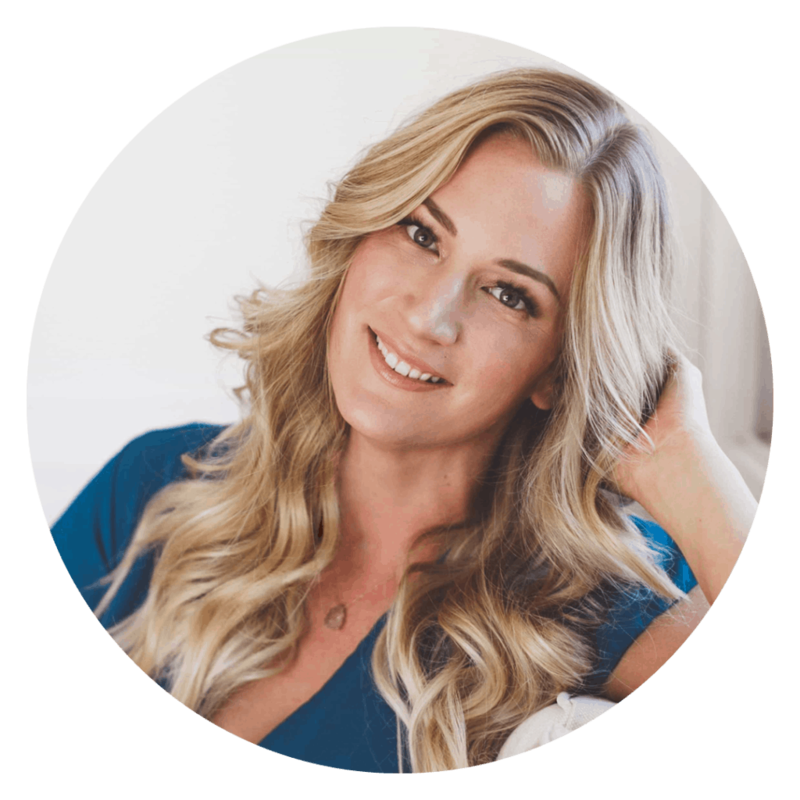 She now shares her weight loss transformation in her cookbook, Simply Keto and blog, Keto Karma and has told her keto weight loss story on various national media networks. Listen to her story. Corey Goodman, guitarist for the band, Adakain, decided after years of eating a bodybuilder's "bro diet", that the calories in-calories out method wasn't working anymore. He didn't want to accept the idea that everyone gains weight after high school. 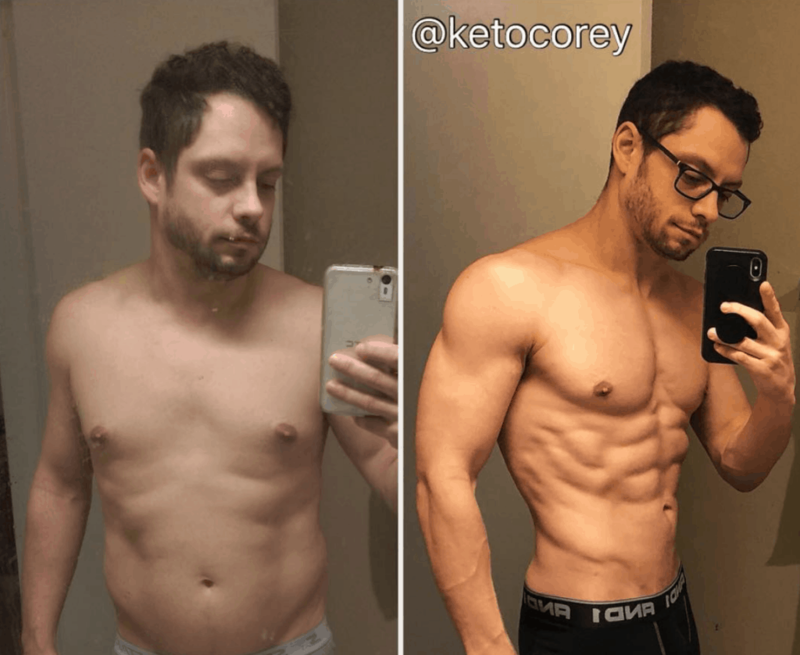 Since starting the keto diet with his fiancée, Corey has dropped from 160 pounds to 135, has attracted 15 thousand followers on Instagram, and has become a certified keto coach. Listen to his story. 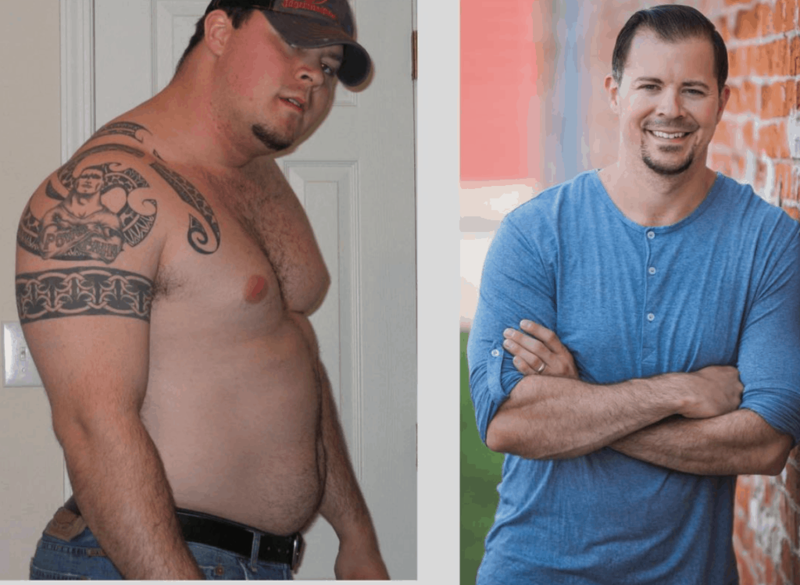 "I was on Reddit one day when I saw a weight loss transformation of a guy who had lost 140 pounds in a year using the keto diet. I started reading the keto subReddit and began researching the science behind it. After years of using upcoming events as excuses not to diet, I chose to start keto in January when the holidays were over and there weren’t any weddings or parties for the next few months. As soon as I started seeing results, I got hooked. I wasn’t struggling at all to find things to eat or to lose weight. I lost 37 pounds in the first two months and the mind blowing results propelled me to keep going. 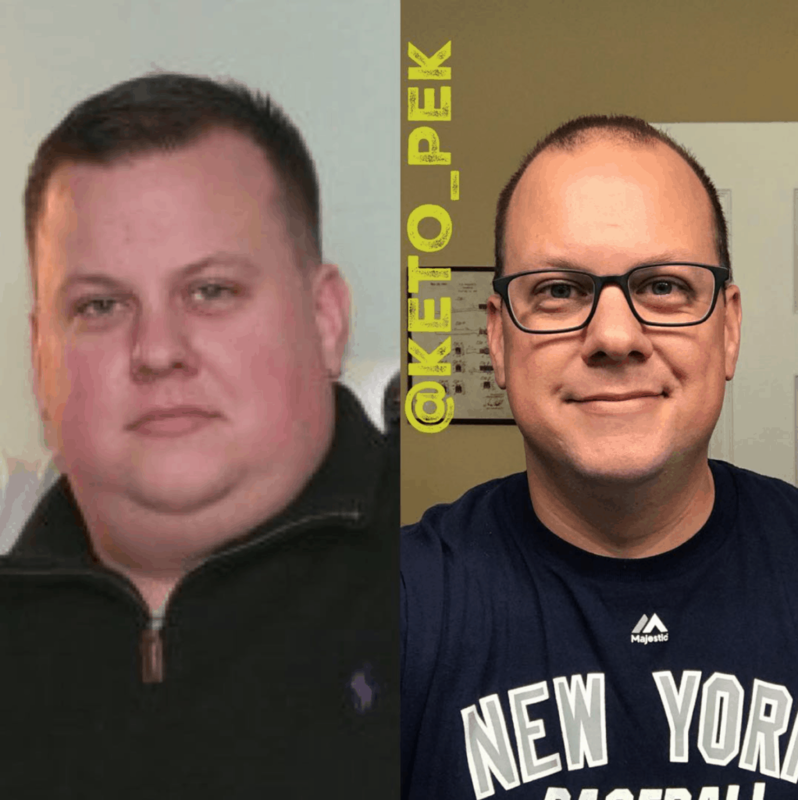 I've stuck to the keto diet ever since." "I was always okay with being the chubby girl. I was 100 pounds overweight, but my blood work was always in check. I was a group fitness instructor for seven years, I was a competitive swimmer growing up, I hiked and travelled, I just ate poorly. Then I was diagnosed as diabetic when I was 29 years old. My dad was diabetic even though he was a competitive cyclist and ate "healthy". I grew up in a Weight Watchers household where everything was sugar-free and fat-free. Back then, if you had diabetes, you switched your white bread, rice, and pasta to whole wheat and you were fine. My dad died of pancreatic cancer when I was 19 years old. They say there’s no cause for this cancer, but I think the stress from his diabetes on his pancreas had a lot to do with it. My endocrinologist put the fear in me. She said if I decided to become pregnant, I was more at risk for complications during pregnancy. That’s the day I decided to sign up for weight loss surgery." "During my mid 20s, life started to punch me in the face. I was in the black hole of fitness doom – start a new program, get initial results, life happens, crash and burn and go back to where I started. I can remember the rock bottom moment. I was in line at a grocery with a cart full of unhealthy food, holding my credit card and thinking, 'Am I going to even be able to pay for this food?' I went home and there was a DVD sitting on my DVD player called “The Secret”. I watched it and it changed my life. ​It was my first time ever thinking I could control my destiny and map out my future. I wrote down what I wanted my life to look like in five years. I called it my Lifestyle Rehabilitation Statement and I have read it every morning and night for five years. Having a plan took the stress out of my life and instead of random action, I took purposeful action. I started with subtle nutritional shifts and got under 300 pounds. I have achieved every single goal on my list, which included losing over 100 pounds, getting married, starting a family, a business and owning a fitness facility. "My friend's one-year-old son was diagnosed with a terminal disease and after watching his life being taken away, I realized I was taking my own life for granted. This poor child would love to live a long, healthy life and here I am taking my healthy body for granted. I weighed a little over 300 pounds. I went on Reddit and saw so many weight loss transformation pictures of authentic people sharing their keto experiences. The weight loss industry is always pushing down your throat that you need something special to lose weight. It was refreshing to see people talking about something that made a big impact on their life. I did my research on the diet and decided keto was going to be the last thing that I try. I stopped waiting for a specific day of the year or a Monday to start, and I haven't looked back. Giving up is no longer an option." "After 10 years of drinking and partying in the music industry, I had the perfect example of a 'dad bod'. This whole, calories in calories out, thing didn’t work for me, so I did some research and I came across keto. I saw a weight loss transformation picture of someone who had done keto for four months and saw great results, so I went five months without carbs. It wasn’t easy. Everybody looks at you crazy. What are you doing? You’re eating fat and fats going to kill you. People came up to me and asked, “What are you eating that for? My father passed away because he ate a lot of fat,” and I asked them what else was he eating. You can’t blame the fat with all of this new science coming out. It took me five months until I got some abs, and that was great, but I wanted to see if we could spread the word. Why don’t more people know about this? I got really concerned with the fact that we had been lied to for so long about fat being bad. People need to know what’s going on. "Not planning my meals. After a breakfast of eggs and bacon, I would realize I had already eaten half of my calories for the day. Another mistake was eating the shelf-stable keto products. For some people, they just subtract the fiber from the carbs and they’re good to go, but I stay away from long ingredient lists now." "I tried doing longer fasts, but I got too hungry and ended up over eating." "The big mistake people make on keto is being motivated by cheese and bacon. You need to have a strong ‘why’ behind every goal, especially if you’re making some nutritional shifts. My ‘why’ was bigger than all of my ‘why nots’." "My biggest mistake was overthinking everything to the point where I started to fear food. Now, I avoid foods because I know the effect they have on my body, not because I fear them." "On one music tour, I was eating a scoop of protein powder mixed with a tablespoon of Fiber Yum syrup as a snack. I found that after eating it for awhile, it wasn’t making me feel very good. Once I cut it out, I felt better. I eat a lot more whole foods now." Find your favorite meal of the day and plan your macros around it. For me, it's my steak dinner. Focus on how you feel, not the scale. My clothing is fitting better, yet the scale isn’t really moving. That's more important than any kind of number. Be educated on the diet and learn about insulin resistance. You’ll have the confidence to answer people’s questions and concerns when they think you’re going to die of a heart attack. Not all progress is measured on the scale. It’s important to have other markers for ourselves. Can I run a little bit farther or faster? How’s my energy? If you’re curious about something, research it and try it. That’s how I found myself into keto. It sounds wacky. Eat all this fat and you’re going to lose weight. I think to people who aren’t in our world, it sounds as wacky as eating ice cream every day for dinner to lose weight. Put a ring on the finger of your nutrition plan, keto or not. Map out the next four weeks to see where your danger zones are. Danger Zones are the rough patches that can throw you off your health plan. What are some steps you can take to be better prepared? Go on Facebook Live, announce your goals and deadline, or at least tell your spouse or friend. That way, you're held accountable. It turns a dream into a mission. Give your kids the foundation of knowing what’s in food and talk to them about nutrition. I don’t want to make my five-year-old daughter fear food or obsess over it. I want to let her be a kid. Learn how to say no, so you can take care of yourself. Take time to go see a therapist, take a bath, go for a walk, hire a babysitter and have a night out. "Do your own research. Like anybody else, switching over to a high fat diet is scary. I was worried I was going to damage my body even more. Pay attention to your electrolytes. When my fiancée and I started, we completely neglected electrolytes and were walking around like we were in a cloud, but then I drank a cup of chicken broth and it felt like this weight was taken off my shoulders. Don't destroy yourself at the gym. That’s the quickest way to become so sore you talk yourself out of going again. Do not neglect your form in the gym. There’s something to be said for that mind to muscle connection. Snack on some pickles to get in some sodium. Put a tiny bit on my plate just to get the taste of it. Make a keto version of the food. I love that I can just Google any kind of food with keto next to it. How can I Keto-fy a cannoli? Eat a spoonful of almond butter. I make super quick cheesecake frosting with cream cheese, sour cream and stevia and eat it by the spoonful. "I'll eat some extra calories, I'll just make sure I keep it clean and really weigh out the decision. How am I going to feel tomorrow? How does it align with my goals? I created something called a Cheat Bank where each cheat meal counts as a unit. In a 28-day period, you look ahead to see where you might want to cheat and you schedule it in. The pressure is gone when the cheat meal is part of the plan. You’re on the plan, so stop beating yourself up for being off the plan." "I'll have a spoonful of peanut butter or some keto friendly chocolate. The sweet cravings happen less often." "I'll typically have two chocolate peanut butter fat bombs. They save me. Lately, there’s been a keto cheesecake in the fridge and I’ll sneak a bite, but won’t have a whole piece. I try not to go too hard on the snacks anymore. I’m noticing that laying off the almond flours, coconut flours, and baked sweets has helped me feel better overall. If I want a crunch I’m reaching for the pork cracklings." 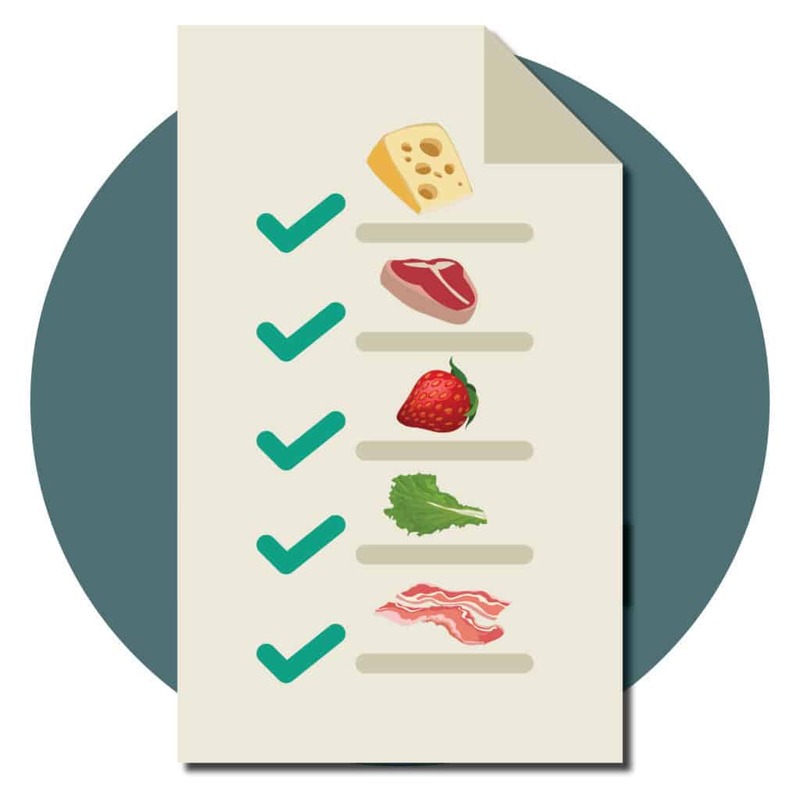 What are your biggest tips for starting keto? "Have food prepared in the fridge. Even deli meats, cheese and hardboiled eggs are all great. When motivation is low at the end of the day, it’s nice having something to snack on while watching TV." Spend time actually learning about what’s physically happening inside your body on a cellular level when you eat steak or bread. Reward yourself with things other than food. My prize this year is to finish a triathlon. If you're a stress eater, have access to clean food. Either you heat up some healthy food from your fridge or you drive to Taco Bell. Don't worry about eating more than you're used to on this diet. My keto clients are worried they're eating 2500 calories a day even though they're still losing weight. You don't have to eat 1000 calories a day to see results. "It's hard to change so many things at once, so break them down. I used to change my diet, join the gym, start journaling and get so overwhelmed I would quit. This time, I started with quitting soda, and once I got that victory, I added on. It’s not your job to debate keto with other people. Some people will disagree with keto or tell me I'm going to die of a heart attack. This is what works for you, and you don't have to defend it." 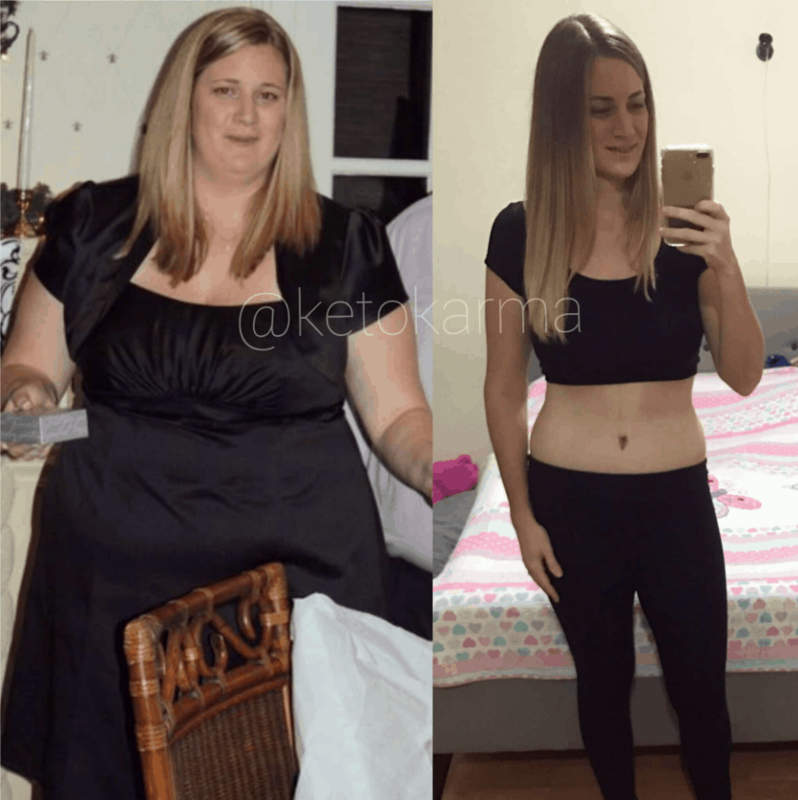 "The day before I started keto, I freaked out and I ate an entire pizza, a burger, and some fries. It probably made my first week harder. I don’t advise that." Too many people stress about hitting their macro numbers spot on. It’s not like that. Your body’s not going to judge it like that. You just need to be in the general vicinity of it. Don’t get lost in it." "I had always been a 'clock eater'. I would wake up and automatically eat breakfast and if the clock said noon, I would eat. Now, I eat more intuitively. I don't know when I'll eat, I'll eat when I'm hungry." "Food is no longer about weight loss, it's about my energy levels and mood. It's about manipulating my macros to optimize the way I feel. Knowing I can do that is really powerful and I like having that control." "I look at food as just fuel. I operate for time and efficiency. I refer people to KetoConnect for delicious recipes because I eat non-interesting meals. It's just how I eat, so I have more time to help people with their weight loss transformations." "I'm not obsessed with food anymore. Before keto, I was constantly hungry and thinking about food. If we got takeout, I would open all of the containers to see which one had the most in it and I would grab that one. It makes sense now because everything I was eating was full of sugar and carbs and I was in that vicious cycle. Growing up, if we had a bad day my dad would say, "Let’s go get some ice cream." He wasn’t trying to raise a food addict. Keto has given me that sense of peace. If I'm hungry, I eat something, I go about my day and I think about doing other things. It's put food in the place where it's supposed to be. I still enjoy food, but its not running my day." On Cyclical keto, I noticed these weird bouts of depression every time I carbed up on the weekends. I saw this study and they were linking inflammation to depression and it makes sense because every time I knock myself out of ketosis, I deal with this weird depression, then a few days back into keto, my head feels more clear. Strict keto is where I feel the best. This is where I’m getting the best results. I keep my fat percentage higher, around 80 percent." "I always make an assessment of whether or not the cheat is worth it and 99 percent of the time, it’s not. If I do have a cheat meal, I don't worry about what the scale says afterward. I want to be happy with the decision before I make it, during it, and after I make it. A lot of it is living with your decisions and not beating yourself up over it." "I work in a really corporate environment where there's often donuts and cupcakes around. My coworkers say, 'Nobody will know if you just a have a cupcake,' but I will know! It’s not about beating the system or sneaking in cheat meals. I know the food is going to make me feel bad all day and it's not worth it to me. There’s always a line of people at the coffee machine at 2 o’clock in the afternoon because they’re all so tired after lunch." "My seven-year-old son saw me eat ice cream for the first time over Spring Break. I finished an 1000-Day No Cheat Challenge last year which was like a bodybuilding program for my willpower, but now I use the Cheat Bank method. If I go on vacation, I will have one or two cheat meals. Space your cheats out two weeks apart. If you cheat too often, you will feed the wrong muscle. You need to develop the willpower muscle until you're no longer obsessing over food." "Growing up, I was always sick to my stomach and doctors couldn’t see anything wrong. After going keto, all those symptoms went away, until I have a cheat meal. For the first year, I didn’t have any cheats. Now, 95 percent of the time it’s keto, but if we go on vacation or have an anniversary, I’ll have a cheat meal. I usually don’t feel good after cheating and I remember why I don't like to do it." Monday through Friday, I'm stict keto, but on the weekends, we’ll try a different keto dish and that’s our release. I like to enjoy keto cheesecake here and there. The Wendy’s Baconator is a tour staple for me. That’s what's helped me sustain it. Everything on this diet tastes delicious. I don’t feel like I'm on a diet anymore. "I start my day with coffee and heavy whipping cream. My first meal of the day is in the afternoon and is usually something small like leftovers or some eggs. It’s about getting in protein and making sure whatever I eat is quality and tastes delicious. For dinner, I have a bigger meal which is always an animal protein with a side of something green like spinach or broccoli." "​Breakfast is coffee with heavy whipping cream. For lunch, I prep ground beef or rotisserie chicken and combine it with a flavorful low-carb dip that I find at Costco, like spinach dip. Dinner is normally seafood like shrimp, scallops, or tilapia. I lost most of my weight on a high protein, low carb diet prescribed by my surgeon, but I’ve recently started the Deeper State Keto program which is much higher fat. I’ve cut out the protein bars and shakes and have so much energy. I feel like I could do cartwheels at all times. It’s not like I felt bad before. I wasn’t sleepy, lethargic, or sluggish. Now, I’m alert, bright and energized all the time." "I'm 6'3", weigh 220 pounds, I workout hard and don't want to lose anymore weight, so my maintenance is about 3700-4000 calories a day. I don't intermittent fast, but I'll do a 24-hour fast one a week to clean things out for health reasons. I eat four meals a day and I'll start with a higher fat meal of eggs, salami, and cheese. I don't drink coffee, I'm over energetic already. If I need some fat macros, I will drink olive oil or whipping cream straight. I eat a lot of canned sardines, or I'll make a keto pudding out of whey protein, coconut cream, and cream cheese. At restaurants, I gross people out. I order a salad with extra cheese, olives and two cups of olive oil, one to pour on the salad and the other to drink. When people are doing tequila shots, I make them do an olive oil shot." "Breakfast is eggs, avocado and coffee. I'll have a bunless sandwich or salad for lunch, and dinner is either fish, steak, or chicken with a veggie covered with butter. I Keep it really basic. On the weekends or when we have company over, I'll play around with new recipes. It's fun to make recipes for people who are not keto. They're expecting to come over and have a really boring dinner and they're blown away by the flavor. It's not what they expected you ate to lose weight. I tracked macros for the first year because I felt like I needed a crash course on nutrition. It was my way to learn what was in food because I had no concept. Intuitive eating wasn’t something I could do before keto. I was in that craving cycle and hungry all the time. When you're keto, intuitive eating makes sense because you're not chasing food in the same way. You're eating when your'e hungry." "I wake up with my keto coffee, then after the gym I may have a protein shake. I’ll get through my work day without eating anything. I come home around 4pm and have my first actual meal which is ground beef on top of pork rinds or cracklings and a side of KetoConnect cauliflower taters. I’m addicted to the cauliflower sweet potato casserole. On tour with my band, I will carry a cooler in the van with ice. I’ll pack Kerrygold butter, hardboiled eggs, pepperoni, avocado, nuts. I bought a little milk frother and when we stop at gas stations to get coffee, I’ll make my keto coffee in a parking lot. What is something you’ve started doing in the last five months that you wish you started earlier in your weight loss transformation? "I enjoy what I do on a daily basis with Instagram and the interactions I have within the keto community. The relationships extend beyond keto. I started an Instagram account to keep himself accountable and have since made countless friendships with people all over the world. I receive frequent messages from people saying thank you and it motivates me to stay involved." "Listening to podcasts while I run has completely changed my fitness routine. I thought I hated running, but what I hated was pop music. Keeping my mind engaged has helped me push passed physical barriers. Podcasts about keto, fitness, and nutrition is motivating to me to learn about my body while I’m actively working it. My favorite podcasts are Keto for Normies, The Keto Savage podcast, Seth Godin's podcast and Hiding in the Bathroom." "I have changed my Life Rehabilitation Statement from five year goals, to 90-day goals because my life is changing rapidly and I'm hitting big goals. I still read the statement morning and night, I'm still achieving, I just gave myself the tighter time frame. I am more dialled into my immediate future and am making the most of opportunities that are right here, right now." "I've started walking a lot more. Mentally and physically I feel so much better after going for a 30-minute walk. In the beginning, it was smart not to do eating and fitness at the same time, but I should’ve added in a bit of fitness, like walking." "Lately, when my coffee is brewing in the morning, I stretch. I’m always a little tight, so I get a really good 10-minute stretch on. I’ve noticed I feel so much better throughout my day. It hurts, but when you’re done you feel so much better." After having these inspirational conversations, we noticed some trends amongst everyone's weight loss transformations. They all used some similar methods when talking about their keto weight loss journeys. Check them out and comment below to let us know what your biggest piece of advice is. Do your research on the keto diet and understand why it works. Focus on how you feel, not the number on the scale. There are countless benefits to starting a keto diet, and weight loss is just one of them. Don't make too many changes at one time. Starting a new diet and intense workout regime can be too stressful all at once and you may quit everything altogether. Count your macros and learn about what's in the food you're eating, but don't become obsessed with having perfect numbers. Don't beat yourself up when you have a cheat meal. Just accept the consequences and get back on your plan. A single mistake isn't going to sabotage two weeks of keto meals.